Steve has practiced in the Town of Mansfield for over 40 years, focusing on Real Estate, Probate, and Business Law. 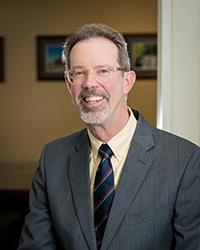 He is President of the Board of Directors of the Mansfield Downtown Partnership, the municipal development agency responsible for the development of the Storrs Center project, and has served as Chairman of its Planning and Design Committee. He has also served as Chairman of Mansfield's Charter Revision Commission; counsel for Joshua's Tract Conservation and Historic Trust, Inc., and as Mansfield's Town Moderator. Joshua's Tract Conservation and Historic Trust, Inc.